Yesterday we wrote you with details of the bills that would generate revenue for transportation infrastructure while providing significant tax relief. We told you that as part of the plan the motor fuels tax would rise in a sliding scale between 23 cents per gallon and 37.5 cents a gallon depending on the price of gasoline. 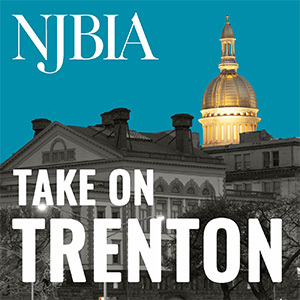 Over the last few days NJBIA members have expressed concern about the amount of the increase and our legislators listened. Late Wednesday, the bill sponsors announced that the proposed gas tax increase would be capped at 23 cents a gallon for a period of ten years. This is a positive step forward in reducing the impact of the increase on your business and your employees. Overall this is a balanced, bipartisan proposal that addresses our state’s transportation infrastructure needs while beginning to provide comprehensive tax relief, making our state more competitive and affordable. The plan provides for a phase out of the estate tax; increase in the pension and retirement income tax exclusion; a state income tax deduction for charitable contributions; and an increase in the Earned Income Tax Credit. While aspects of this plan continue to be fluid we urge you to contact your Legislators and tell them you support this overall initiative. We will keep you updated should any other changes in the plan occur.